I discovered Satsuki's work on Instagram some time ago and let me tell you I was instantly mesmerized! 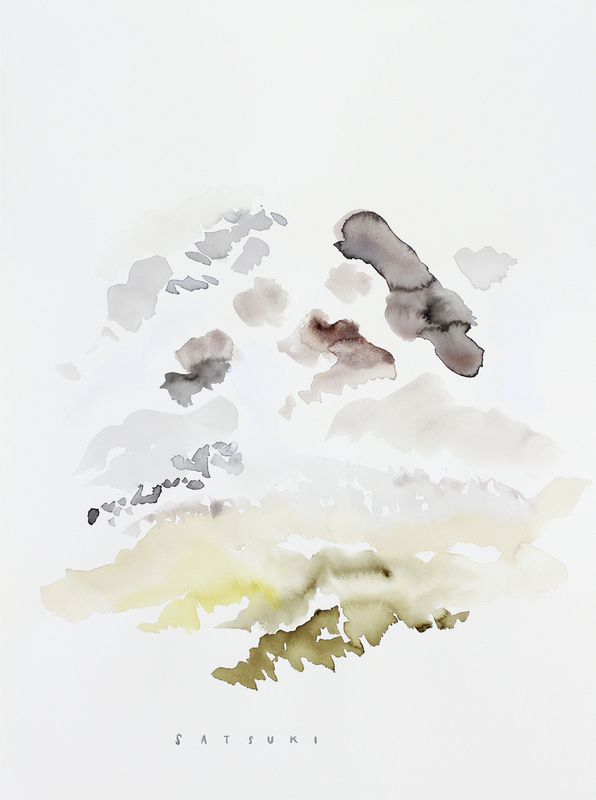 Her work is sooooo beautiful I love how soft abstract her watercolours are. The description on her site sums it all up just perfectly. ▶▶▶ Satsuki is a painter, artist and spiritual thinker, living and working in Rancho Palos Verdes, CA. Her work is based upon intuition, energy and spirit, exploring the realms of the unknown to bridge the gaps between the traditionally tangible and the unseen. Through watercolors, visualizations of universal metaphysics appear with a focus on themes such as nature, energies and aspects of everyday life. Each piece created embarks us on an unique and personal journey into our own souls in hopes that we emerge not only inspired about peace and harmony, but also with enlightened appreciations for this world in which we all live and share.